إن فندق City Plaza Apartments بموقعه الممتاز في كارينس سيتى سنتر هو نقطة انطلاق جيدة لنزهاتك في كيرنز. يقع مركز المدينة المثير على بعد 1.4 km فقط. كما يمكن الوصول بسهولة إلى مسرح كيرنز المدني, ‪McLeod Street Pioneer Cemetery‬, مستشفى قاعدة كيرنز. كما يقدم City Plaza Apartments الكثير من الخدمات لإغناء رحلتك في كيرنز. يمكن لضيوف الفندق الاستمتاع بالميزات التالية على أرض الفندق: تخزين الأمتعة, واي فاي في المناطق العامة, صف السيارات, غرفة عائلية, مرافق للشواء . في City Plaza Apartments غرف نوم يزيد عددها عن 24 صممت بذوق وعناية لتوفر لك كل وسائل الراحة . بعضها يحتوي أضاً على تلفزيون بشاشة مسطحة, غرف لغير المدخنين, مكيف هواء, شرفة/ تراس, ساعة منبه. سواء كنت من محبي الرياضة أو كنت تتطلع لتفريغ عناء نهار صعب، ستجد خدمات ذات مستوى عالي بانتظارك كمثل مسار جولف - ضمن 3 كم, حمام سباحة خارجي, سبا, حديقة. استمتع بخدمات لا يعلى عليها وعنوان ذو اعتبار في City Plaza Apartments . 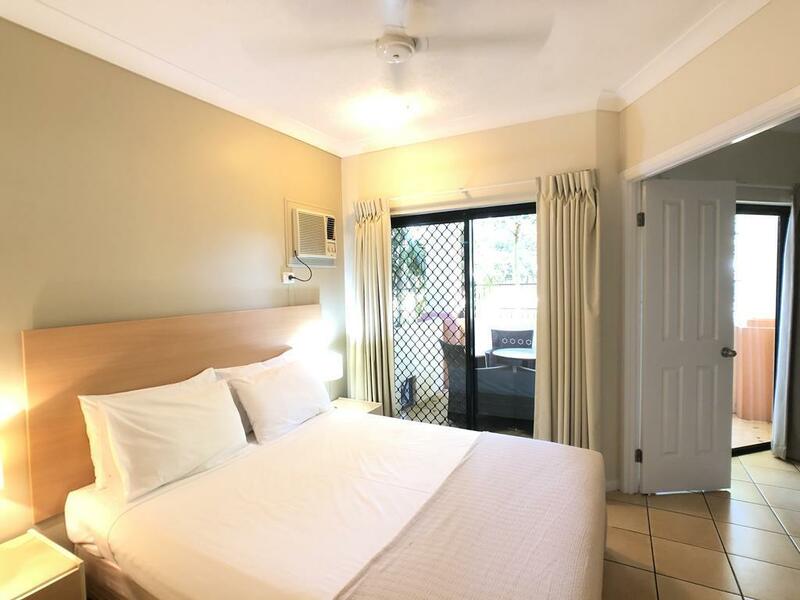 Hotel is short spin away from Cairns centre and most attractions. Clean with decent rooms but nearly 3 star let alone 4. Location was pretty good. Quite place for the family. Rooms were very comfortable all facilities were provided. Good value for money. We weren't satisfied with the rating given to the hotel, they are extremely dated internally. 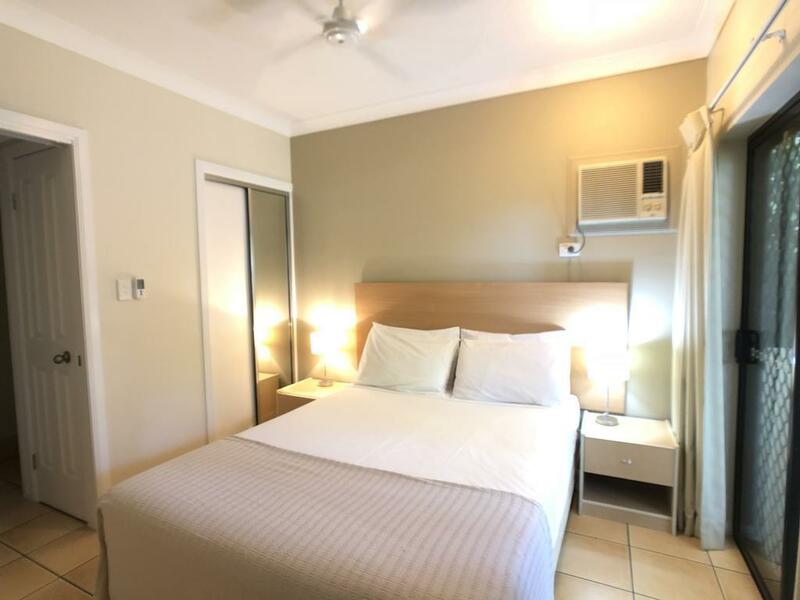 The money we saved on not getting a similar rated hotel in cairns centre was easily spent on cabs getting too and from the centre which is where all of the shops, restaurants and 'action' are. If you don't want to get a cab then you can walk the 2.5kms along the boardwalk. Upon reading the reviews we were informed that there was no airport noise which was a lie, every flight passed over the apartment block, the latest being midnight and the earliest being 6am. As you are close to the airport this noise is very loud as the planes are only a few km's from landing. My advice would be to pay a little extra and stay in a hotel in Central cairns if you can afford it, planning you days will be so much easier. lovely apartment with full facilities. we stayed at city plaza apartment for 5 nights. we lived in a 2 bedroom apartment with three other friends. it is a lovely apartment with full facilities. location is a bit far from Cairns center, probably need 35 mins by walking. but if you book tour, normally it will pick you up at the front door. going to the peer does need to grab a cab though. there is a little supermarket and some resteraunts nearby, probably 5 mins walk. but the price in the little supermarket is more expensive than the big ones in center. Pros: The apartment was wonderful for the price. Inside, it's comfortable and lots of space, balcony, kitchen with the works, even a french press, wooden spoons and intact teflon pans. Nice TV with DVD player and 2 good couches. 2 sinks, separate toilet. New BBQ grille near the small pool. Off street parking. Quiet. Cons: Few. It's about half an hour walk to the pier, but the bus picks up close by (see travel tip) and drops off a block north, on Sheridan street. Saw a couple of roaches. very helpful & friendly management. 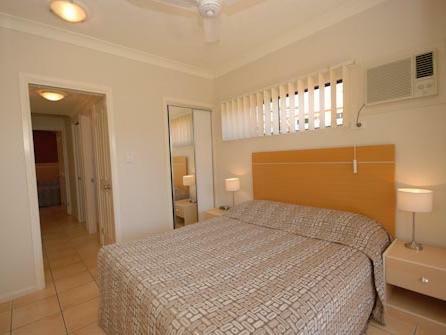 a comfortable 25 minute walk along the esplanade boardwalk to the city centre of cairns. close to the airport.